Business Technology Solutions and IT Management - Avaria, Inc.
Business IT Solutions that manage, propel, and secure your company. Business Technology done right. Business Need: If you are experiencing frequent downtime of server, network, printing and email, or problems with Internet speed. 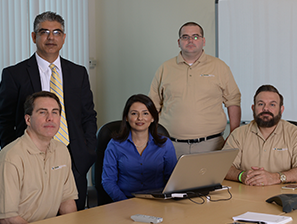 Avaria’s Solutions include end-to-end analysis, identification and remediation of root cause of network & equipment problems, streamlining computers and servers. Business Need: If your employees need to access office applications, files and data occasionally while working remotely (homes, hotels, remote sites). Avaria’s Solutions include software and hardware VPNs, secured servers, secure, multi-level authentication. Business Need: End-to-end analysis of networks, equipment, and users. Avaria’s broad range of security services include server hardening, Firewall hardening, Active Directory analysis, Permissions, networking equipment analysis, Wireless/WiFi security analysis, engineering vulnerabilities and more. Business Need: Your employees are using a mix of collaboration tools which are either costing individually or don’t work together. Avaria’s solutions include Email, Chat, Telephone, Video and File Sharing in a single, fully integrated collaborative platform. Business Need: You have aging servers and are considering replacements or want to lower cost of ownership and maintenance. Avaria’s engineering team can consolidate multiple servers into one through virtualization. Business Need: Business Need: If you have multiple offices, travelling employees, or home users and need to access office applications, files and data remotely. Avaria’s solutions include on-site setup for remote access/VPN. Business Need: Your concern is whether your data is backed or not; more importantly, recoverable or not. Will you survive a loss of equipment or data? Avaria’s solutions include onsite managed backups, offsite backups, server replication and comprehensive cold-site and business continuity plans. Business Need: Your network equipment, servers, and workstations are aging or your infrastructure is not satisfying current business needs. Avaria’s solutions include Infrastructure-as-a-Service. 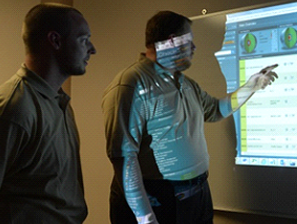 Avaria provides the equipment, maintains and manages it; either onsite or at its datacenter.